Open 7 days a week. Serving Food all day, Monday to Saturday 11.30am - 9.30pm and Sunday 11.30am - 9pm. 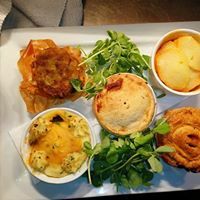 If you’re looking for good food made with local produce and a big Yorkshire welcome, take time out to visit Tykes. Settle into one of our comfy chairs or sofas and enjoy the homely surroundings of this barn conversion – it’s the ideal place for lunch, evening meal or just a drink or coffee at the bar. Working closely with local suppliers our aim is to provide the best food experience possible using the freshest ingredients. Our buzzing theatre kitchen gives the customer the opportunity to not only pick their own steak or fish but also watch as one of your chefs prepare it. Showcasing everything that the great county of Yorkshire has to offer, beef & lamb from Bishopthorpe to lager brewed in Cropton. Our menu changes to suit the seasons and with themed events throughout the year there is something for everyone. 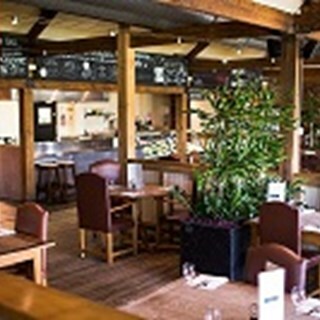 Our relaxed and friendly service ensures a great dining experience in an informal atmosphere. We're easy to find (just off the A64 at Flaxton) and there is plenty of free parking. So come along and discover what’s cooking at Tykes! Little Tykes menu available and large parties are welcome. Food and drink was excellent. However the service was poor. Extremly quiet was the restaurant. staff were all stood around  the bar area chatting we had to go up too bar twice 2 ask if somone could come over 2 take a drinks order. One of our steaks was tough and the chips are an odd powdery texture , our other food was ok . Nice staff . Cold burger, had phoned up about it being a birthday, I was told balloons would be put up, there was nothing. At 9.15 everybody started turning out the lights and closing down. Felt like we were being ushered out. Disappointed. 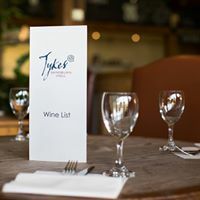 We always enjoy visiting Tykes weather for a meal or just calling in for a relaxing drink. The atmosphere is relaxing even if it’s  busy, the staff are usually prompt (we have had to remind staff on more than one occasion that we’re waiting for drinks) and the food is really nice, fresh and delicious. Eaten there three times  this week with the family and every time the food and service was excellent. Well done. Love this place. Booking was easy on line. Food and service was perfect, and the atmosphere was just what we look for. Staff were great and treated us very courteously. Manager dealt with a small problem very effectively. Incredibly slow service- disorganised and no care, Food finally came, the main dish was luke warm and the side dishes had possibly been microwaved-extremely hot in the middle. Won’t return and could certainly never recommend. Please train, organise and mange the staff. It wasn't pleasent been told when booking extra people that it would be very limited space to which I replied we won't complain about it being a tjght squeeze we will manage.. Laura (I believe) then said if there are 5 skinny people in the party it won't be a problem.. Which I found offencive. I was appauled at the lack of service.. No one came and asked how our meal was 3 of the party had lamb that was fatty and chewy. Then being asked to leave the table to have our desserts elsewhere at first the bar area.. But if that wasn't bad enough then told the bar area was full so they could put us in the sports hall to have desserts and coffee.. I thought that was just rude. Amazing quality food,  excellent service & beautiful place. Great location, amazing food ad really friendly and helpful staff. 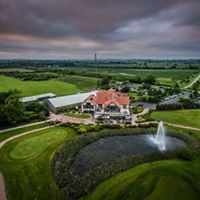 Nice restaurant, steak night is great value for money and you have lots of options without paying extra. Would 100% recommend the pepper corn sauce - amazing. Wasn’t that keen on the steak night wine however. 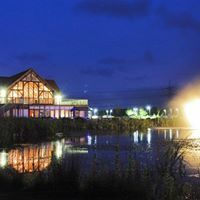 Well apart from having our booking cancelled while we were eating dinner ... a lovely venue, wonderful food and great staff.